Following weeks of speculation and rumors, Apple on Wednesday officially announced it acquisition of Beats Electronics for a reported $3 billion, with co-founders Jimmy Iovine and Dr. Dre expected to join the Cupertino, Calif. company in as-yet-undisclosed executive roles. The highly anticipated —and controversial —sale includes Beats' subscription streaming music service Beats Music and Beats Electronics, which produces high-margin audio equipment like headphone and speakers. The deal will also bring on Beats co-founders Iovine and Dr. Dre, whose real name is Andre Young. "Music is such an important part of all of our lives and holds a special place within our hearts at Apple," said Tim Cook, Apple's CEO. "That's why we have kept investing in music and are bringing together these extraordinary teams so we can continue to create the most innovative music products and services in the world." "I've always known in my heart that Beats belonged with Apple," said Iovine, who was a personal friend of late Apple co-founder Steve Jobs. "The idea when we started the company was inspired by Apple's unmatched ability to marry culture and technology. Apple's deep commitment to music fans, artists, songwriters and the music industry is something special." 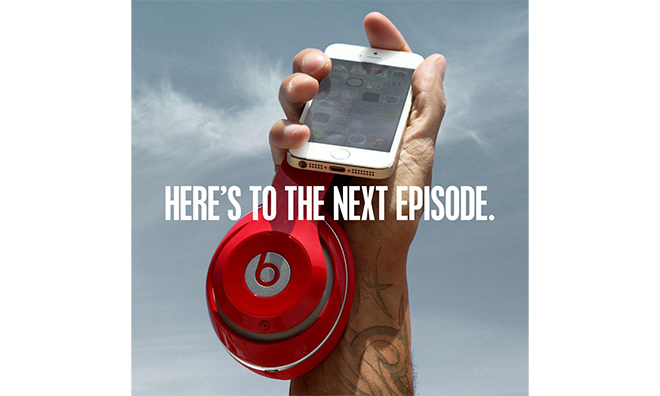 While Apple's announcement touched on all Beats assets, of special interest was Beats Music which launched in January. Industry watchers speculated that the now-official deal was crafted to tie-in Beats Music with iTunes Radio, thus giving Apple an easy road into the world of subscription music streaming, though reports say the service will be kept a separate entity for now. Others guessed Apple was eyeing Iovine and Young, who would be brought on as an acqui-hires. The music mogul and hip-hop star have considerable sway in the industry and could help secure content for Apple's fledgling streaming service. "Music is such an important part of Apple's DNA and always will be," said Apple SVP of Internet Software and ServicesEddy Cue. "The addition of Beats will make our music lineup even better, from free streaming with iTunes Radio to a world-class subscription service in Beats, and of course buying music from the iTunes Store as customers have loved to do for years." The deal is expected to close in Apple's fiscal fourth quarter pending regulatory approval.